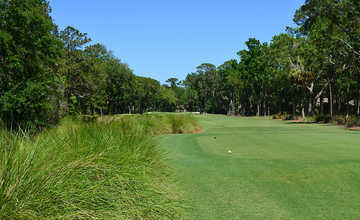 A view from tee #10 at Sea Pines Country Club. 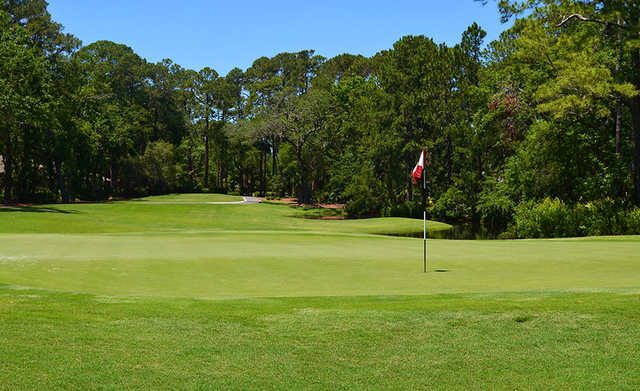 Sea Pines Country Club, the only completely private golf course in Sea Pines, was originally designed by golf course icons Arnold Palmer and Frank Duane. 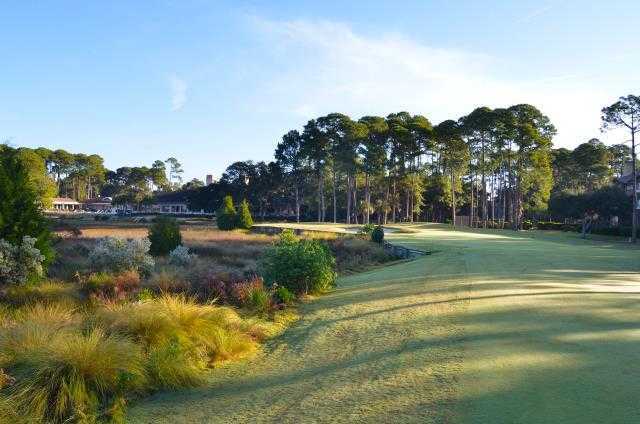 It underwent a renovation in 2001 by award-winning course architect Clyde Johnston. 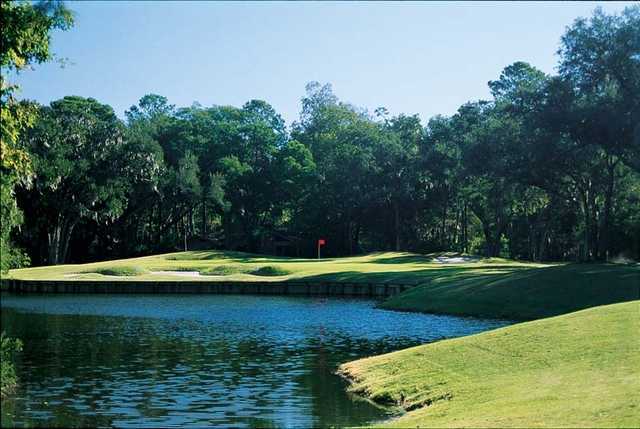 The Sea Pines C.C. golf course offers both challenge and reward, with its new bunkers, fairways and greens. Undulating fairways and water hazards make it a course for players of all levels. The par-72 course measures 6,383 yards from the back tees. The championship tees have a course rating of 71.6 and a slope of 132.